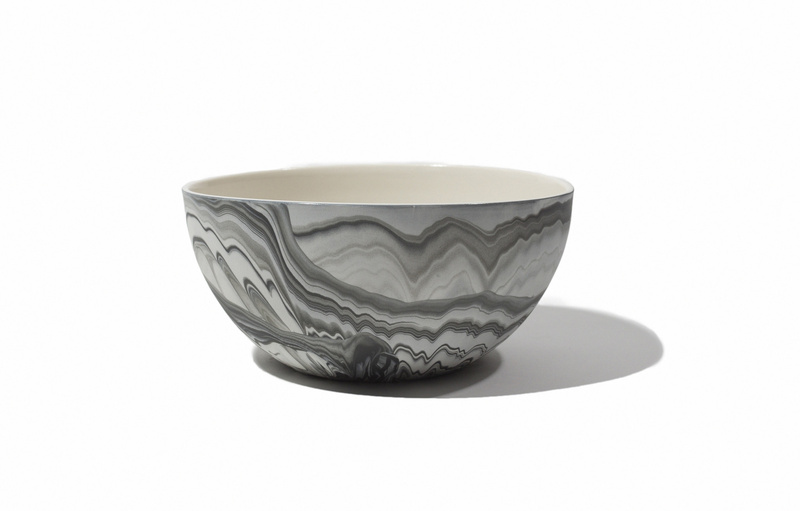 Medium sized serving bowl with matte marbled exterior and high gloss interior. 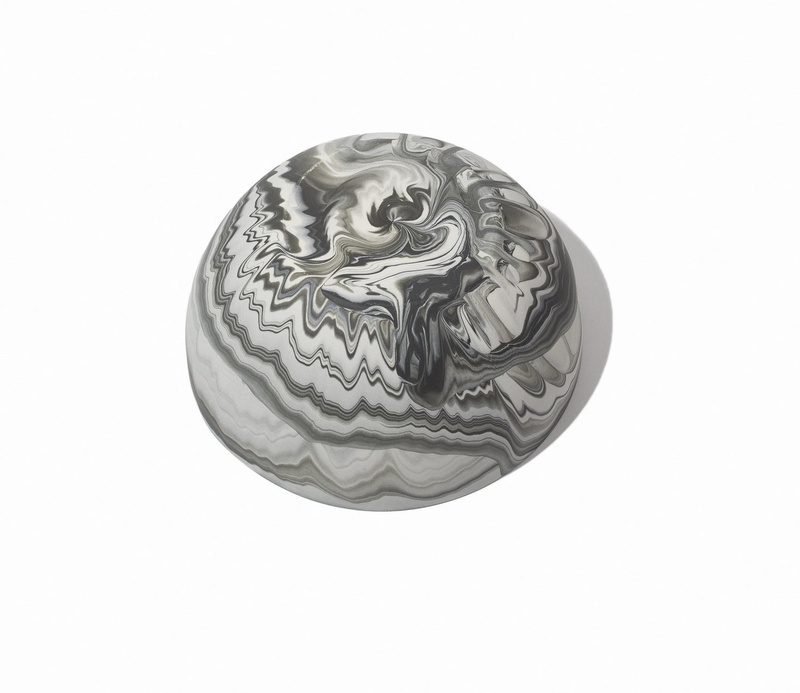 Each design is marbled and glazed by hand creating a unique piece each time. Food Safe. Hand washing with a mild detergent is suggested to maintain brilliance of each piece.